Shri Krishna is considered to be one of the most powerful incarnations of Lord Vishnu. Amongst the deities, Lord Krishna is the only incarnation of Lord Vishnu whose every stage of life shows different colors. There are many exciting stories of Lord Shri Krishna from his birth to the death. People who keep faith in Hinduism and adore Lord Krishna as their deity celebrate the birth anniversary of Shri Krishna as Janmashtami. The devotees observe fast and offer worship to Lord Shri Krishna to obtain his blessings on this auspicious day. Shri Krishna was born in Mathura 5,200 years ago. 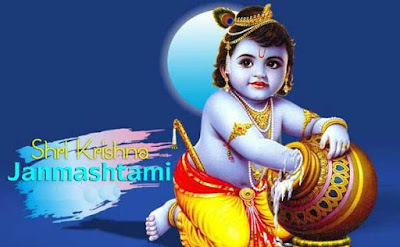 According to mythological scriptures, Lord Krishna was born at the midnight of Rohini Nakshatra on Krishna Paksha Ashtami of Bhadrapad month. Therefore, if the Ashtami of Krishna Paksha coming in Bhadrapad month coincides with Rohini Nakshatra, then it is considered to be lucky. 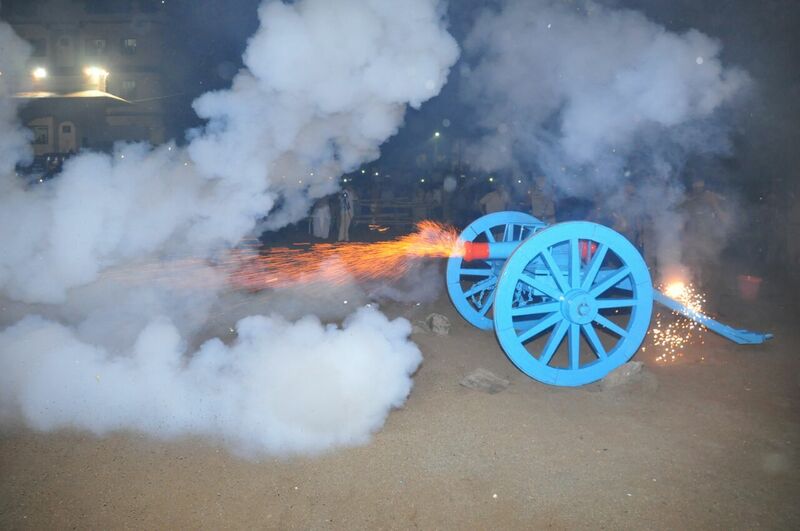 Also, it is celebrated as anniversary along with Janmashtami. The actual celebration of Janmashtami occurs during the midnight because Lord Krishna is believed to be born on a dark and stormy night to end the cruel regime and violence of his maternal uncle Kans. 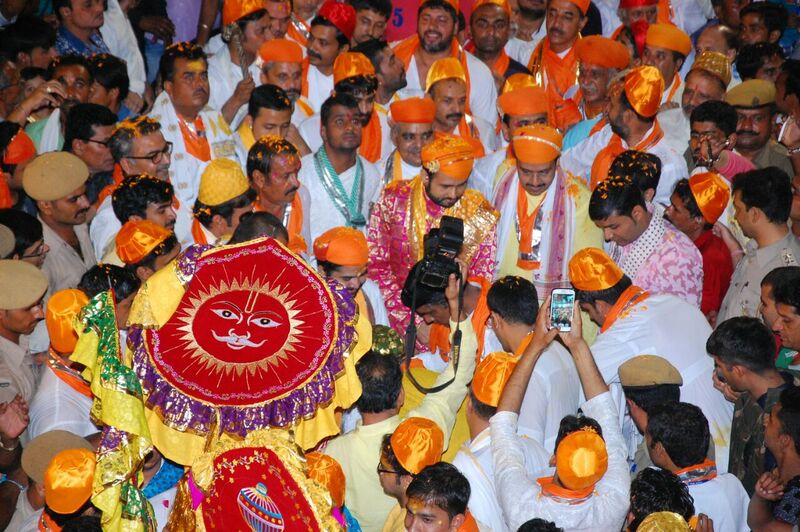 Janmashtami celebration of Mathura and Vrindavan, at places where Shri Krishna had lived his life, are very special. On this day, temples and houses are magnificently decorated and illuminated. Long prayers are offered at night and religious mantras are sung in temples. Most of the time, Krishna Janmashtami is declared and listed for two consecutive days. The first one is for the Smriti sect and the other is for the Vaishnava sect. The same date for Janmashtami means that the sects will follow the birth anniversary on both dates. 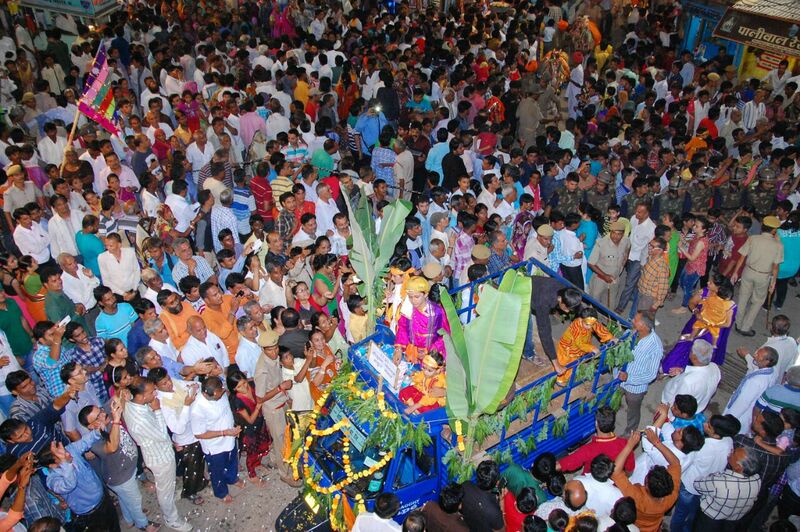 People not only from the internal regions of Rajasthan but also from Gujarat and Maharashtra, visit Nathdwara to witness Lord Krishna’s seraphic festival. Here, important arrangements are made by the temple trust for security at the police and administrative level. The temple is decorated with attractive light decoration for the festival. The entire city of Nathdwara reverberates owing to the melodious sound of the drum, trumpet, and clarinet at the main entrance of the temple. 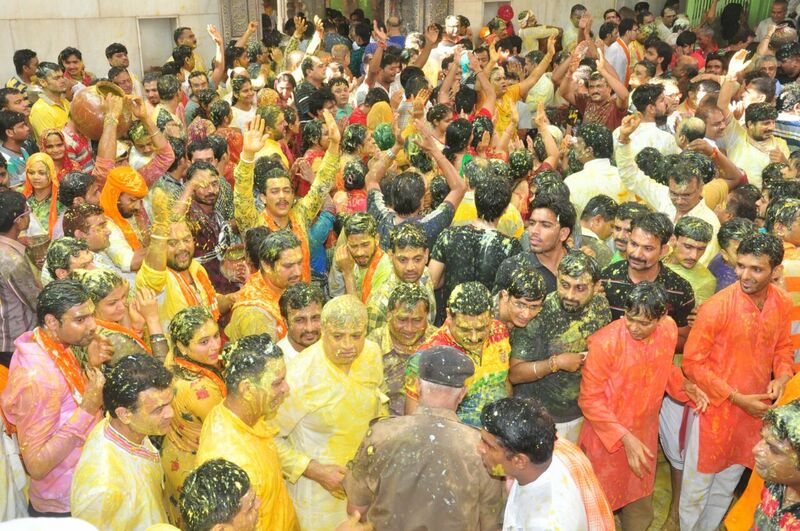 A series of congratulatory exchanges began pouring in a month earlier from the Ashtami of Shravan of Lord Krishna. According to the confirmation order, Shri Krishna Janmotsav is not celebrated as a public exhibition in the night, but on the second day, as the Nandamahotsav, that is, by affirming 'Nand Gher Anand Bhayo, Jai Kanhaiya Lal Ki’ in the presence of Tilakayat Maharaj Shree and his family, Brajvasi Sevakgan (Brigadian staff), Mukhiyaji (Headman), and Lord Shrinathji along with spattering milk and curd while dancing in front of them. On the occasion of Janmashtami, Lord Shrinathji (Shri Krishna) is given a bath with Panchamrit during the tableau of Mangla. Tilakayat Rakesh Maharaj does the Aarti of Lord Shrinathji after the tableau of Mangala and then bathes him with ghee, honey, powdered sugar, etc. CCTV cameras are installed in the premises in the context of safety. Proper arrangements of water, light and sanitation etc. are made to facilitate the arrival of Vaishnavas. Accommodation is available for the visitors, and hence the central inquiry and reservation office of the temple and the operation of all the cottages are arranged to keep the office open for 24 hours for the convenience of the Vaishnavas.